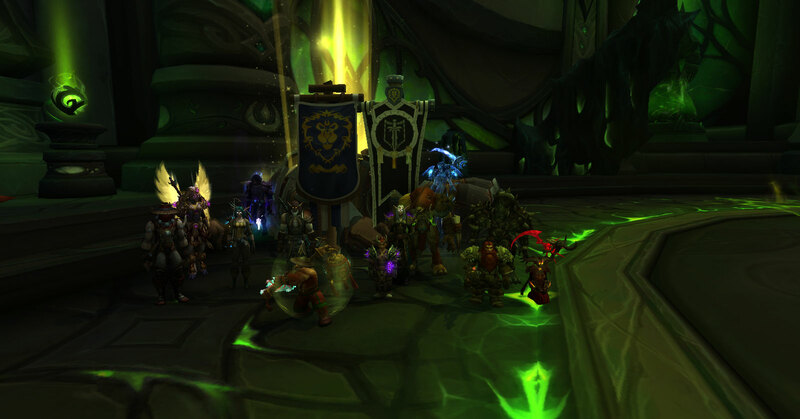 Team 1 jumped back into mythic difficulty in Tomb of Sargeras, dodging spikes and soaking swirlies to down Goroth. 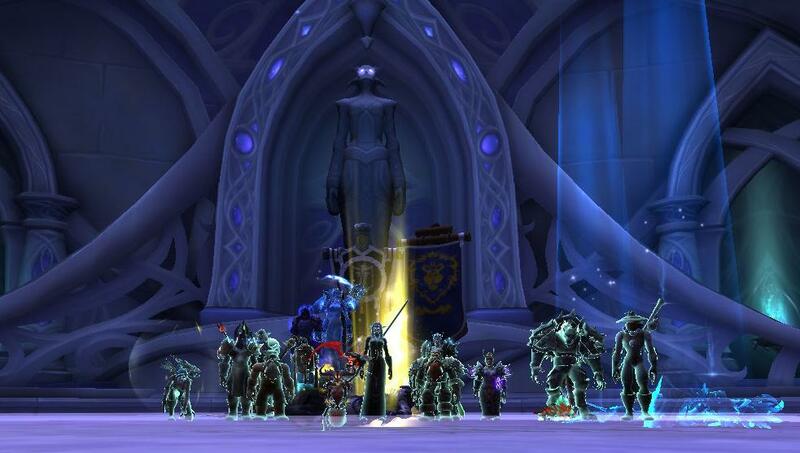 And then to really top off the excellent job, everyone lined up in an orderly fashion for the picture. 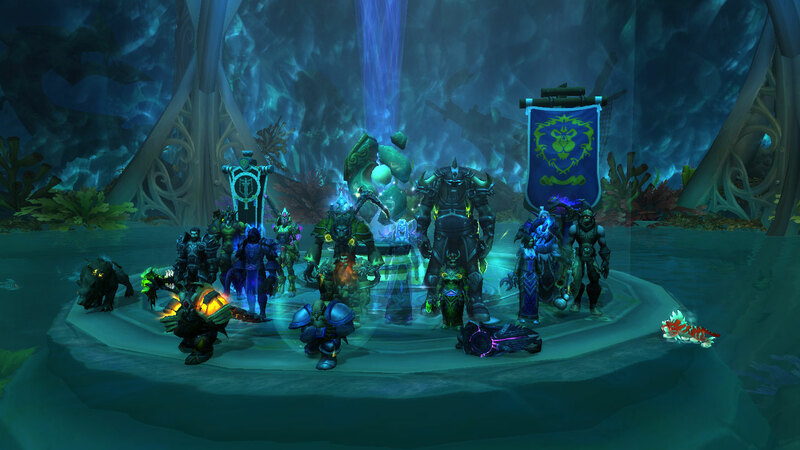 Huge victory all around! 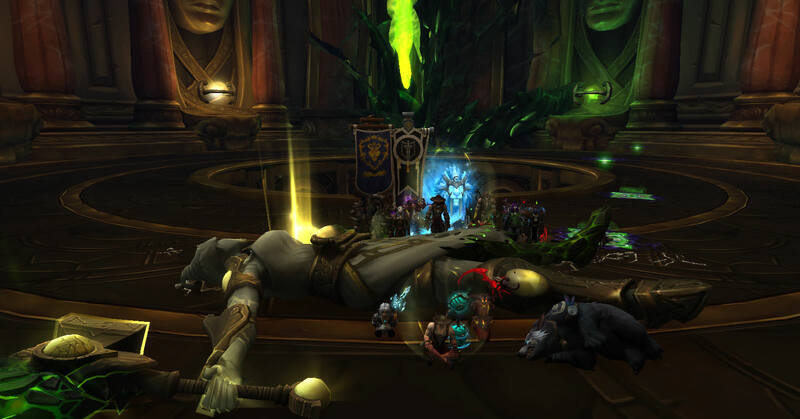 Team 2 Excels at Guitar Hero! 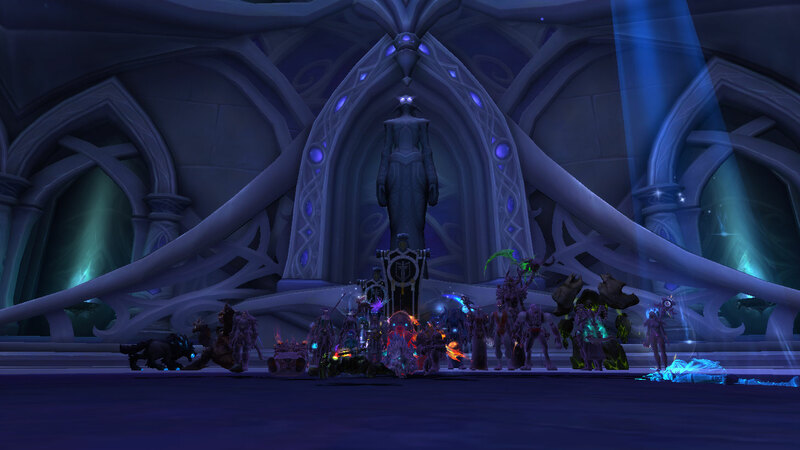 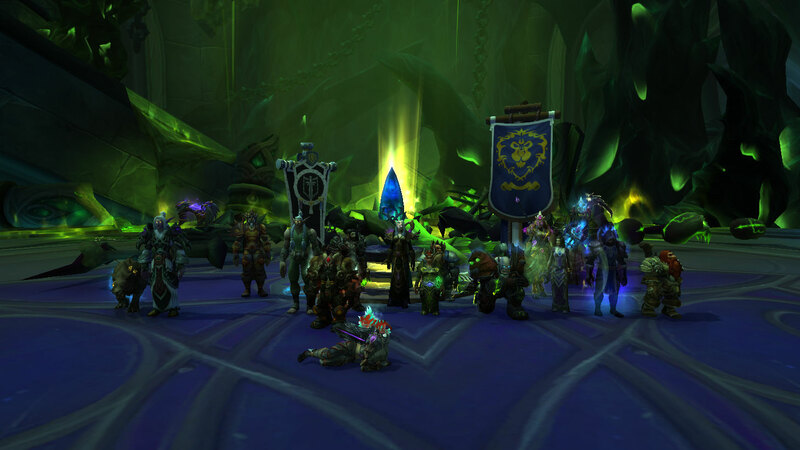 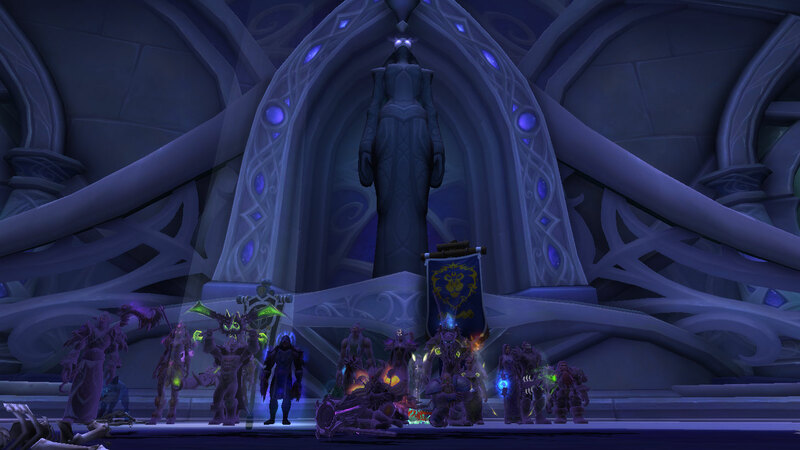 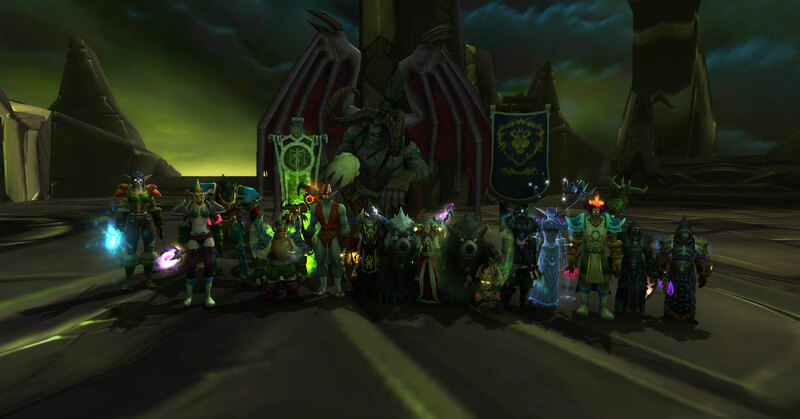 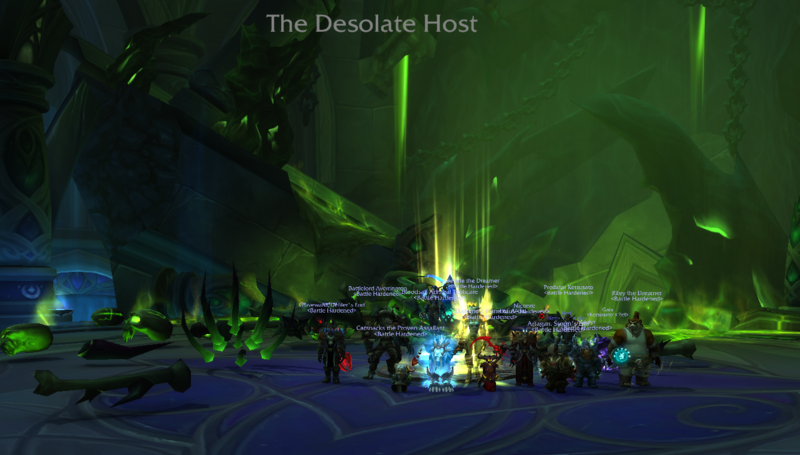 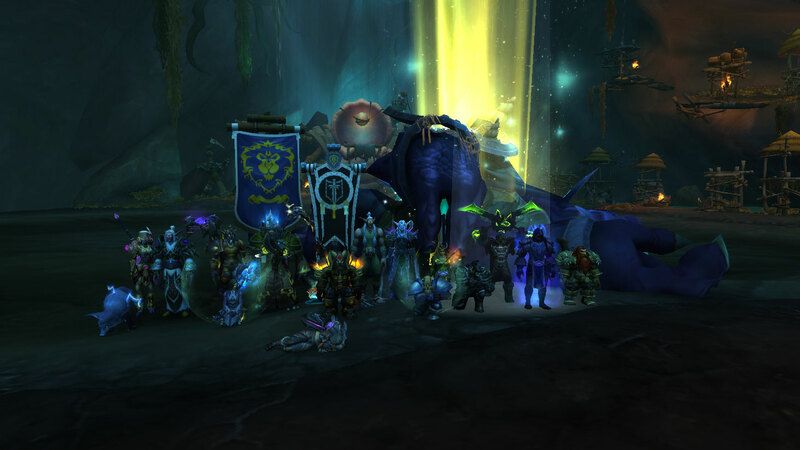 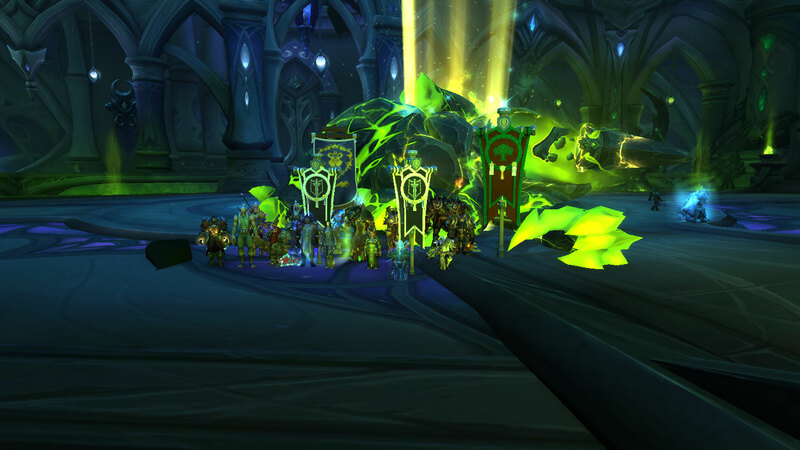 Heroic Maiden died on Friday, bringing Team 2's progression to 7/9H. 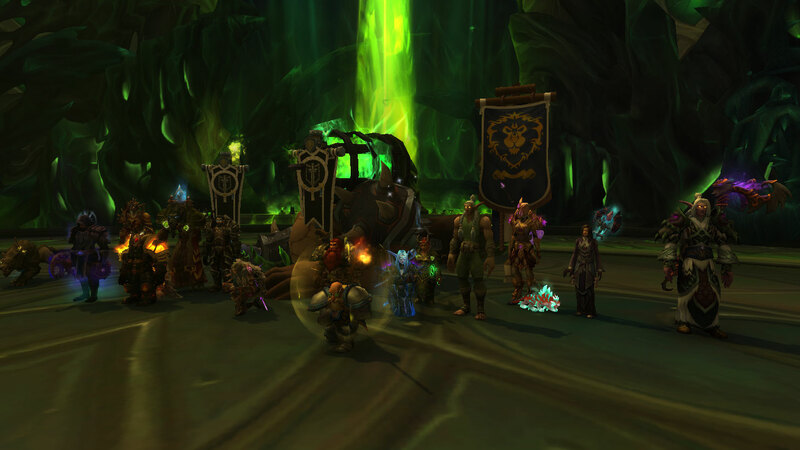 With all that skill at dodging sparkly bad flying at us, we're catching up to some of the top groups on the server! 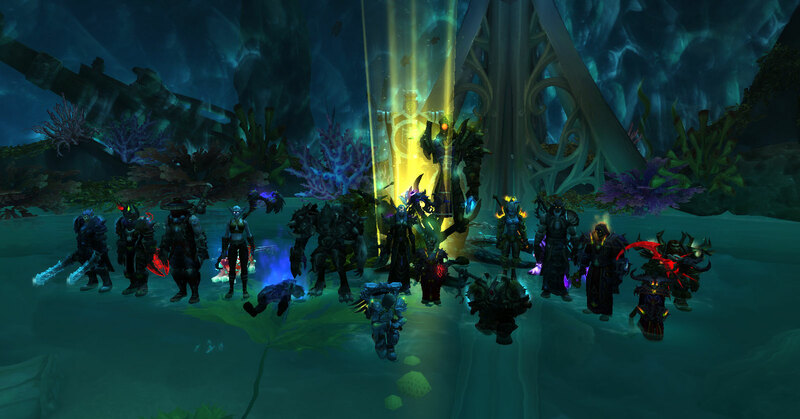 Nice job on another successful kill!